Since I’m heading off to New York today for the next week, I thought I’d share what I normally pack in my carry-on! The luggage brand AWAY sent me a sick new carry-on for fashion week and I can’t wait to test it out! It features a built-in battery for plugging in all of your tech tools, that way you can charge on the go! The carry-on is super lightweight, features two different zipped compartments to keep things separated, and a compression system so you can squeeze more things in there. Each trip is different, so my carry-on doesn’t always feature the same contents. 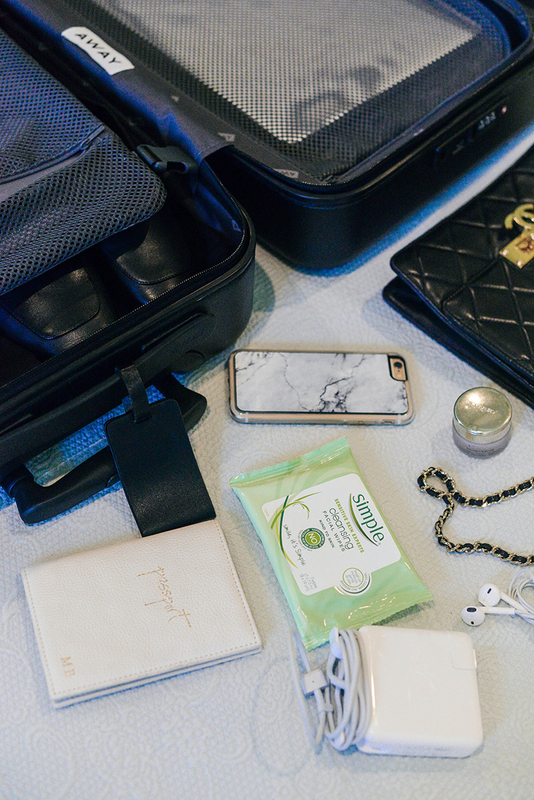 Since this one is a pretty short flight, I don’t need to include all of the various toiletries I mention below – I instead use this space to squeeze in a couple clutches and designer bags I don’t want vulnerable in my checked luggage. Coolest carry-on ever! Have fun in NYC–can’t wait to follow along!! Have a wonderful time in NYC, lady! So excited to follow along on your Big Apple adventures! Smart tips! 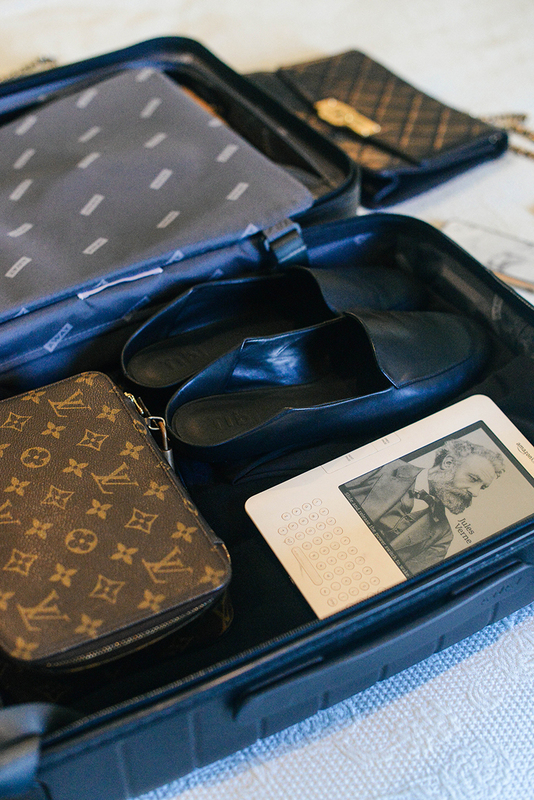 Would you believe that I pack only in a carry on, even for fashion week? Gasp. Ha. This is genius! 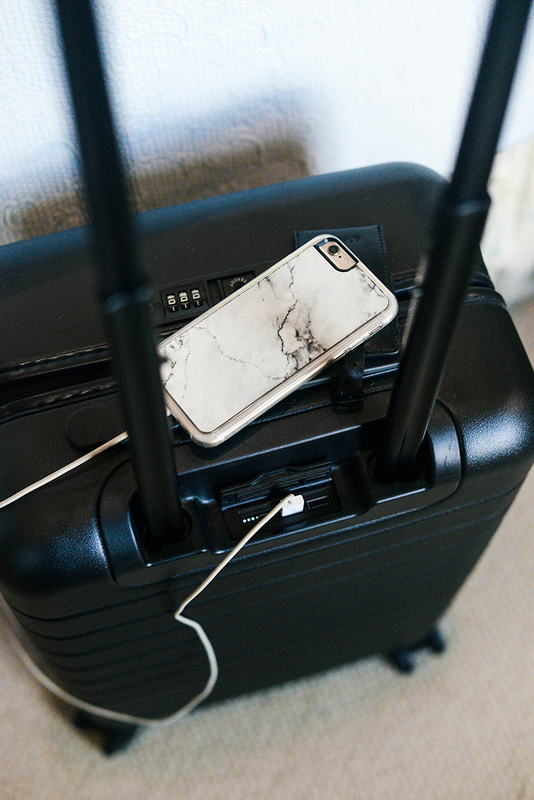 I’m always charging something or needing to while traveling so this bag is right up my alley! Have so much fun in NY!